This report was originally published by Justice in Aging in 2016. Every day in the U.S., 10,000 people turn 65. As the population in general ages, so too does the homeless population. Based on demographic trends alone, it is predicted that homelessness among people aged 65 and older will more than double by 2050, from over 44,000 in 2010 to nearly 93,000. Taking economic factors into consideration, even more seniors are aging into poverty and homelessness. Health care costs. Research shows that out-of-pocket expenses dedicated to health care continue to rise, placing additional financial burdens on older people who may be living on fixed-incomes. Housing costs. More than one in three households, 38 percent with an older adult — face high housing costs and more than one in five experience a severe financial burden. Low or stagnant wages, and a reduction in pensions. Retirement accounts have not yet fully recovered from the effects of the Great Recession. Premature aging. Physical and mental stressors such as sleeping outside and the challenges of maintaining a healthy diet while living without shelter can accelerate the effects of aging. Accessibility and day-to-day tasks. Ordinary tasks such as bathing or dressing can be difficult for older adults, and is compounded by being homeless. Crime. 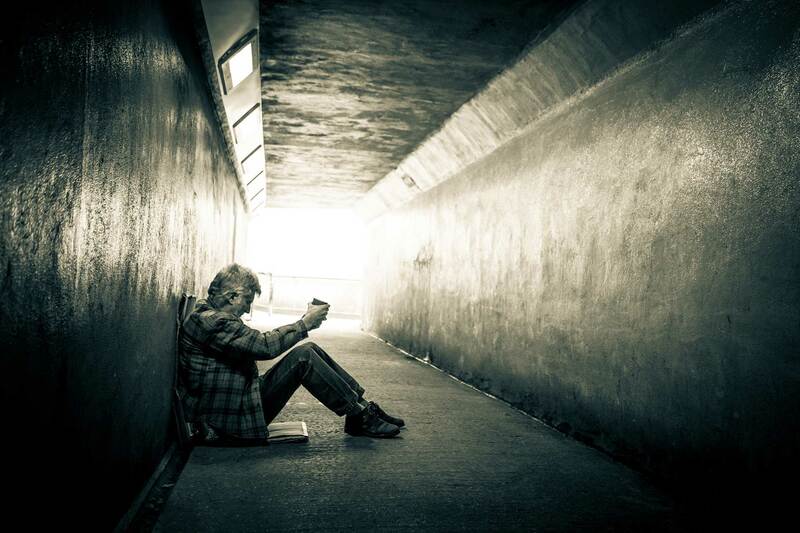 Older, homeless people are frequently at greater risk of being victims of crime. Accessing benefits. While programs and services that benefit the homeless are available, getting that help to those people — older people in particular — can be difficult. Risk of institutionalization. Medicaid in the U.S. is frequently the last resort, leading to the chronically homeless being institutionalized in low-cost nursing homes, where a lack of privacy and dignity lead to a low quality-of-life for residents. This report, produced by Justice in Aging, provides solutions to the problem of homelessness in aging populations in the U.S., increasing income support, providing access to more comprehensive healthcare services, creating programs that target specific needs of aging adults, and helping to provide affordable and accessible housing options. Read the full report from Justice in Aging. Justice in Aging is a national non-profit legal advocacy organization that fights senior poverty through law. Formerly the National Senior Citizens Law Center, since 1972 it has worked to provide access to affordable health care and economic security for older adults with limited resources, focusing on populations that have traditionally lacked legal protection such as women, people of color, LGBT individuals and people with limited English proficiency. We ensure access to the social safety net programs that poor seniors depent on, including Medicare, Medicaid, Social Security and Supplemental Security Income (SSI), through targeted advocacy, litigation and the trainings and resources.